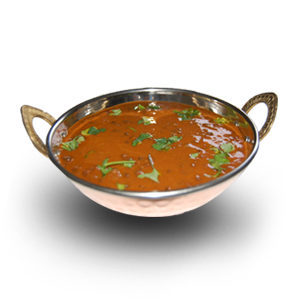 Dal makhani or dal makhni is a popular dish originating from the Punjab region of the Indian Subcontinent. The primary ingredients in dal makhani are whole black lentil (urad) with red kidney beans , butter and cream. The traditional preparation of dal makhani involves a series of time-consuming procedures, which can take up to 24 hours to complete.